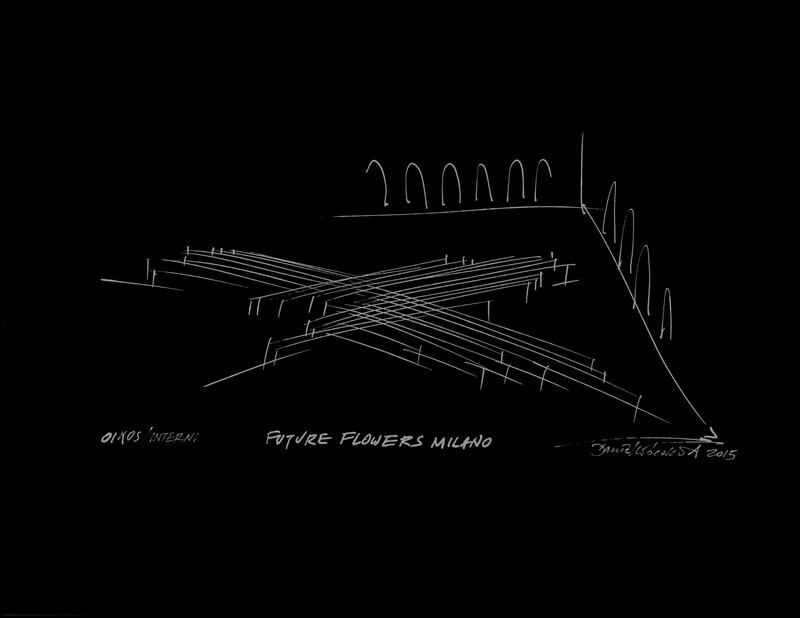 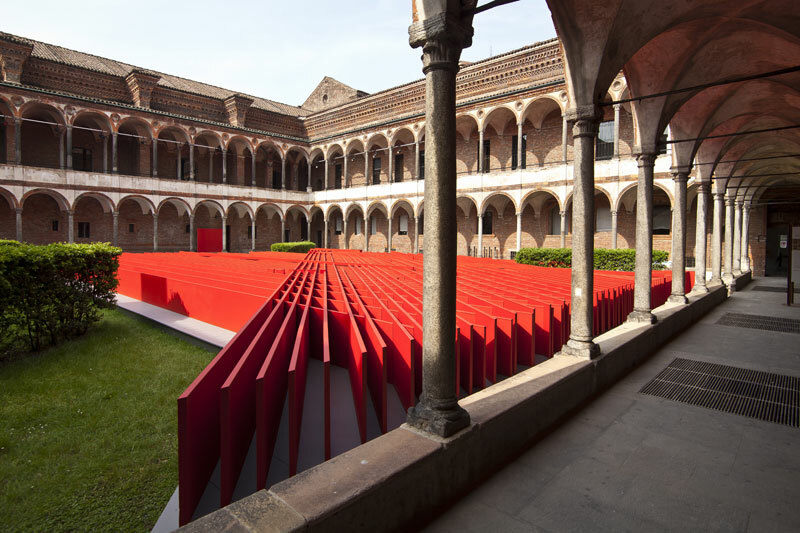 A composition dedicated to the joy of light, color and the magic of intersecting lines, based on Libeskind’s drawing study Chamberworks, which investigates the deeper meaning of geometry, form and color. 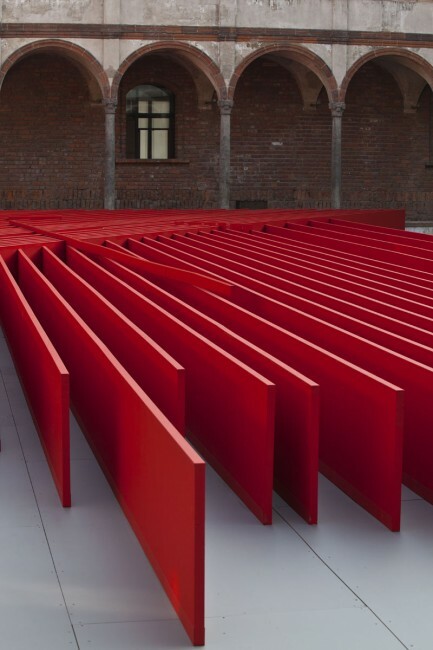 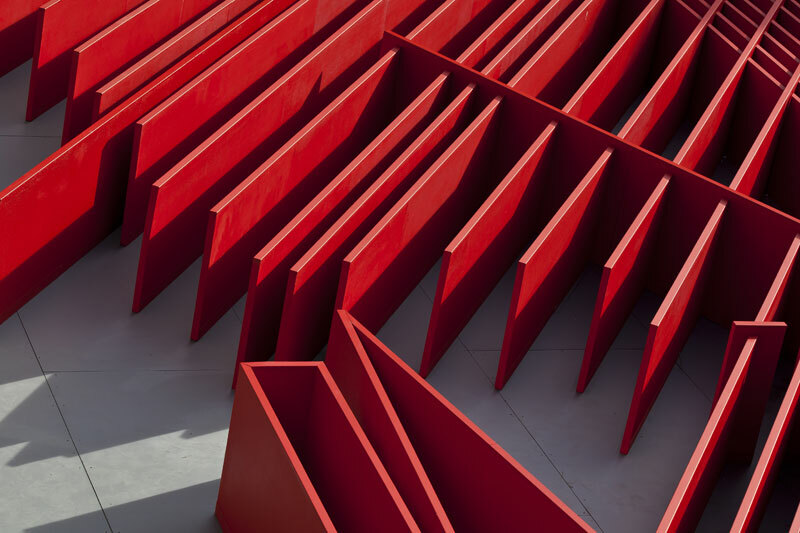 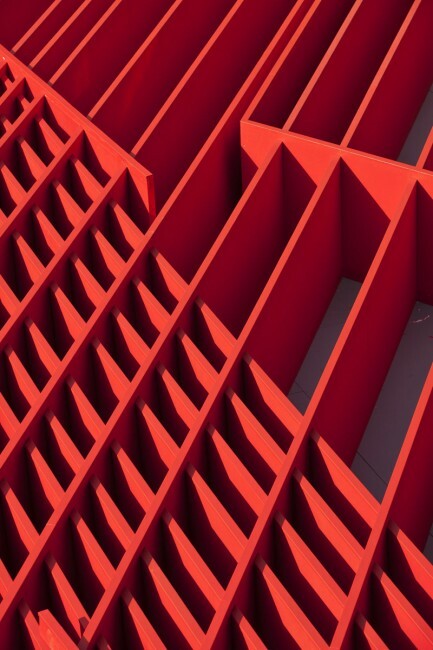 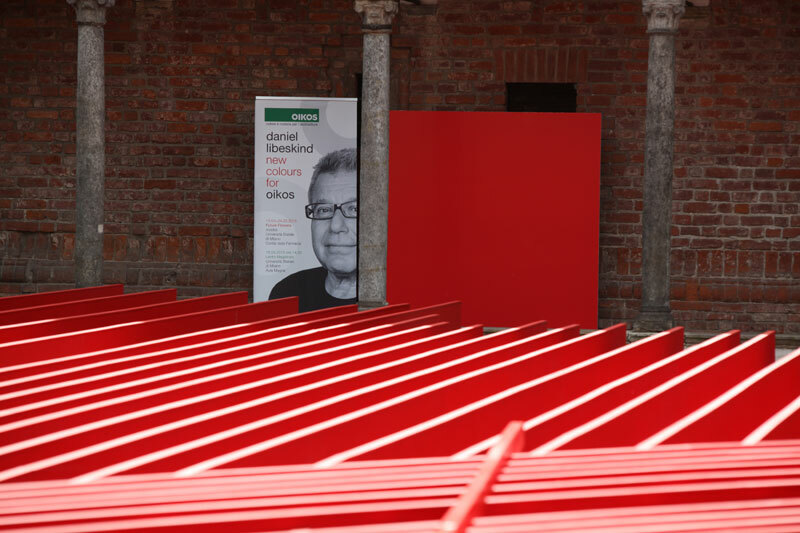 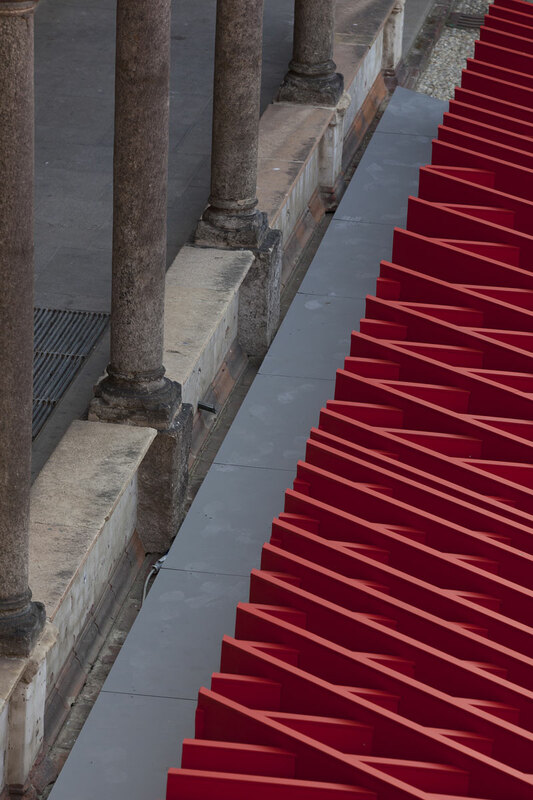 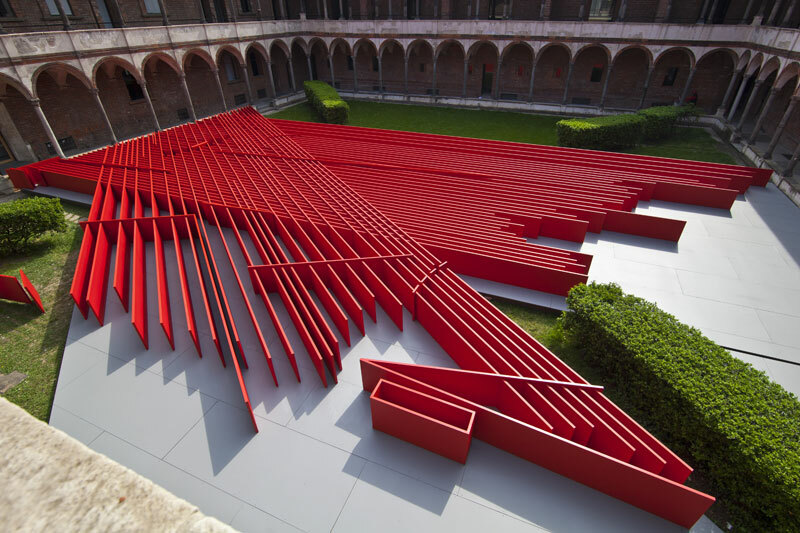 The installation was structured on folded and cut aluminum panels and enriched by the density and color from the new palette specifically designed by Daniel Libeskind for Oikos. 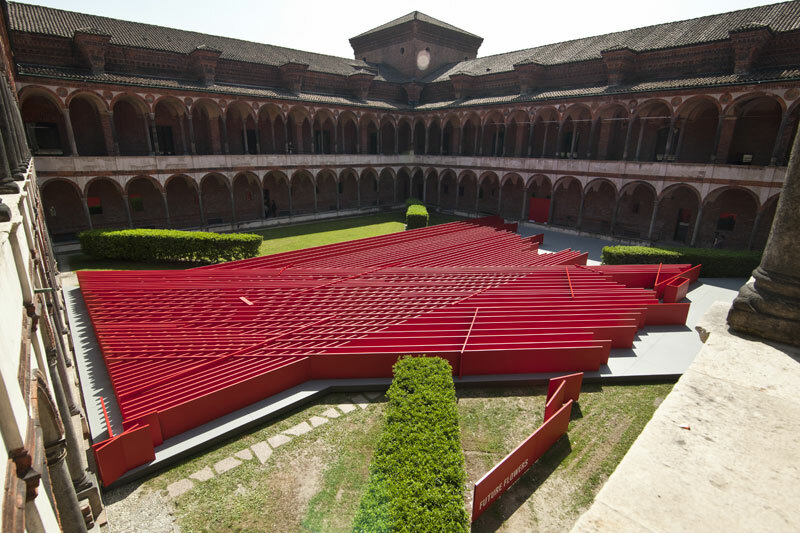 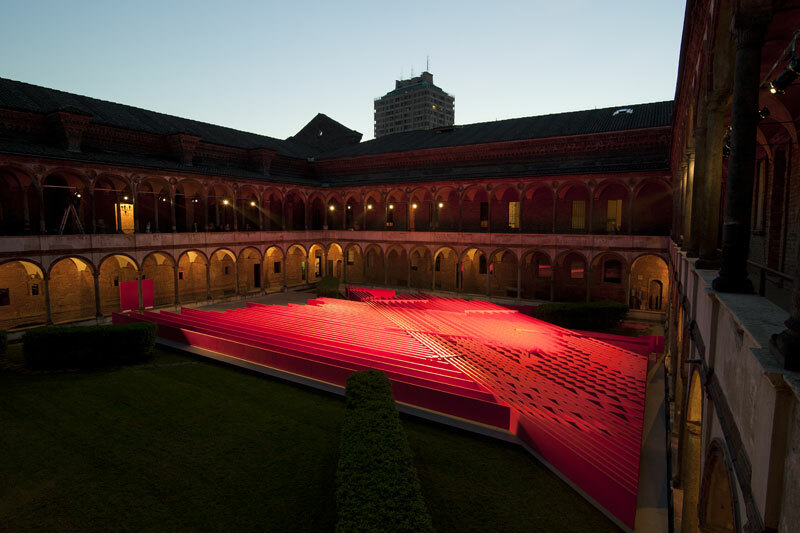 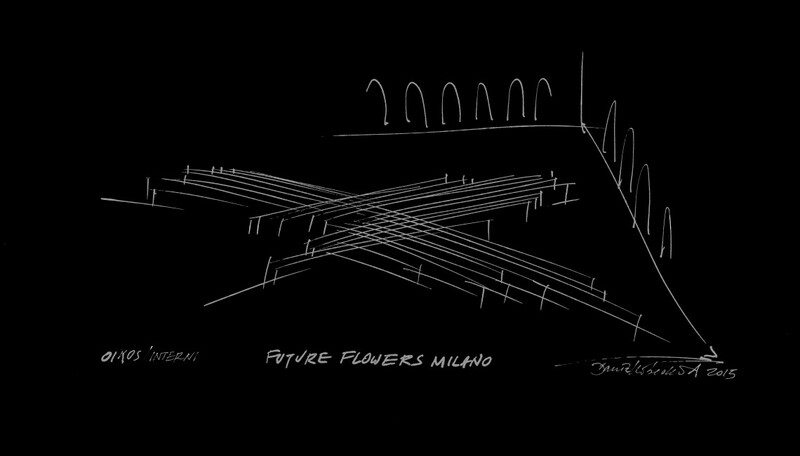 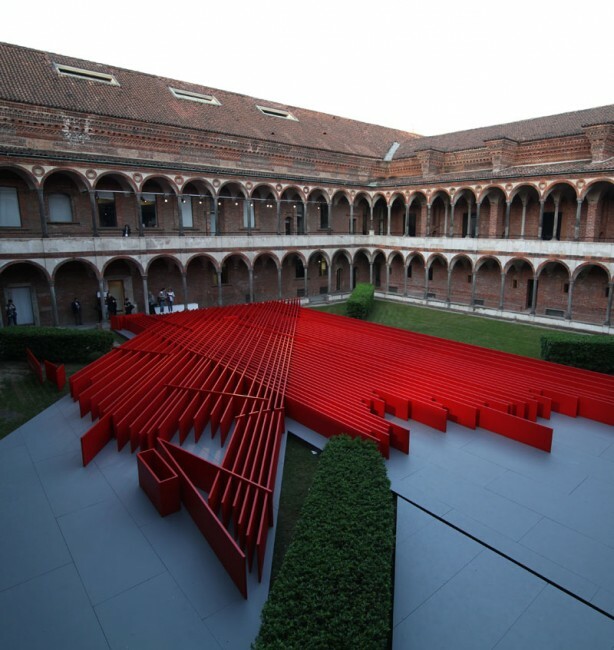 Future Flowers was on view in the Pharmacy Cloister of the Statale University in Milan, Italy during the Salone Internazionale del Mobile as a featured presentation of the exhibition organized by Interni, Energy for Creativity.